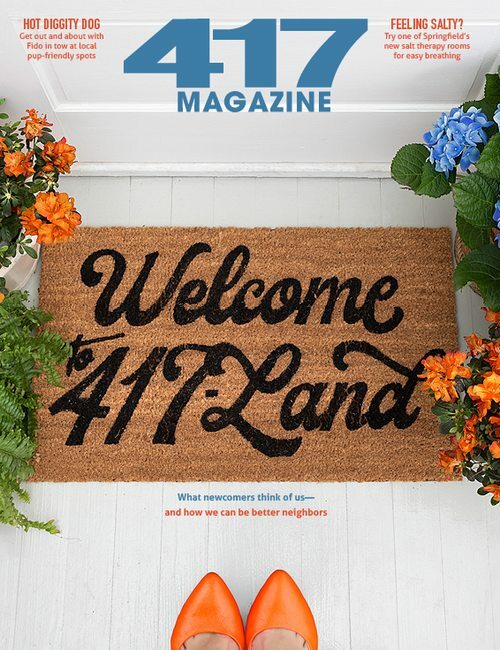 Southwest Missouri’s newest pastime is a stress reliever like no other. 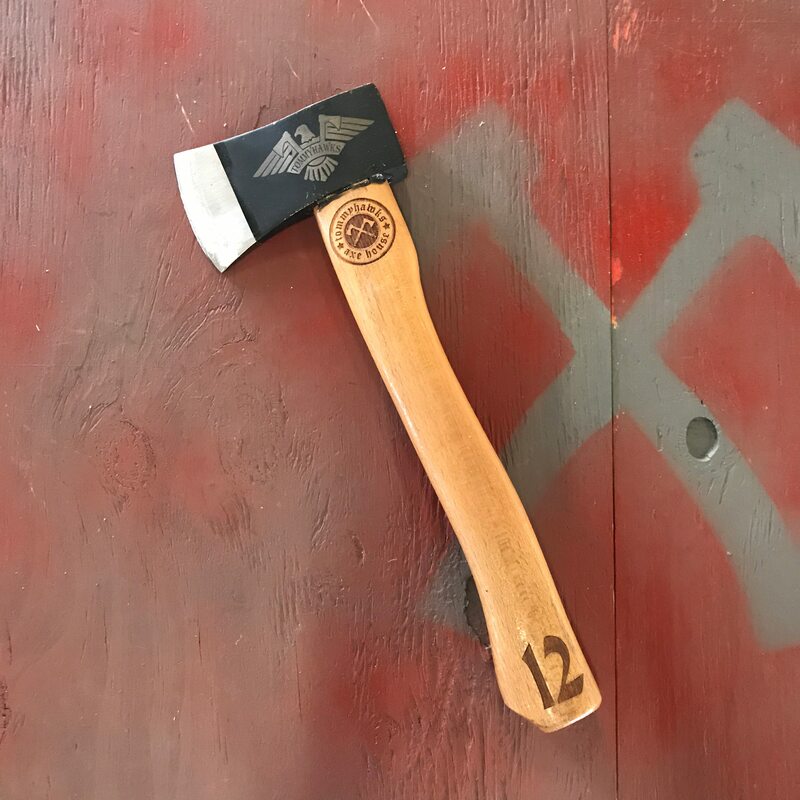 TommyHawks Axe House gives you the chance to master the art of throwing axes while offering coaching, league play and a whole lot of fun. 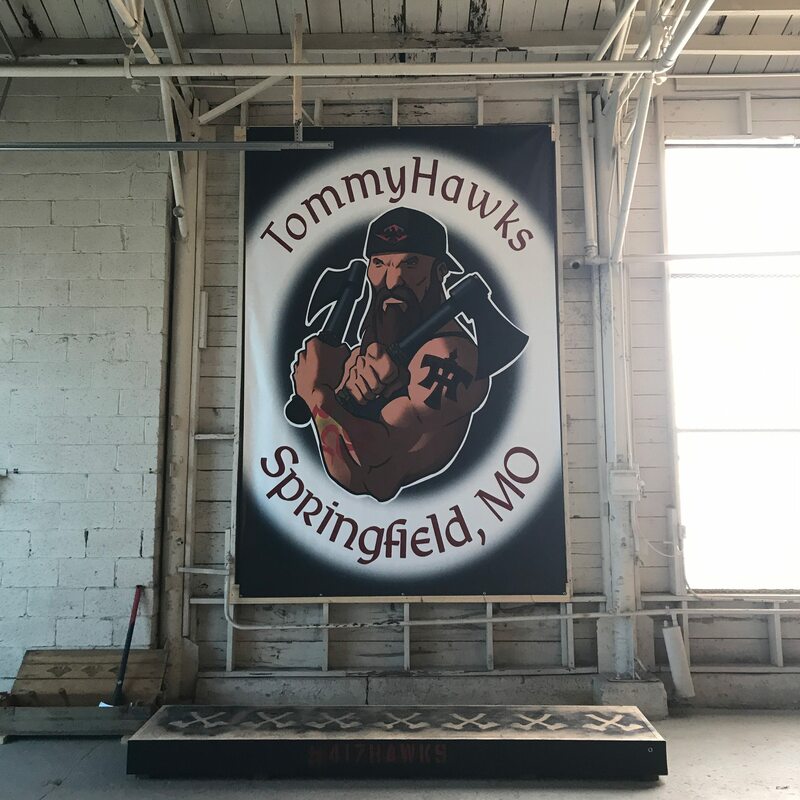 Photo by Shannon HoffmannTommyHawks Axe House is located near downtown Springfield at 1631 W. College St.
Springfield is full of activities to partake in for a day of fun. 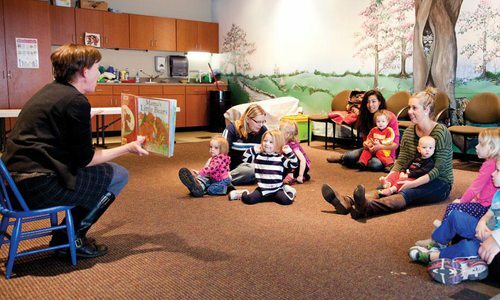 You can explore the vastness of Wonders of Wildlife National Museum and Aquarium, catch a concert at the Gillioz Theatre, try your hand at miniature golf at places like Fun Acre and Getaway Golf, expand your knowledge at the Springfield Art Museum, cheer on the Springfield Cardinals at Hammons Field and so much more. 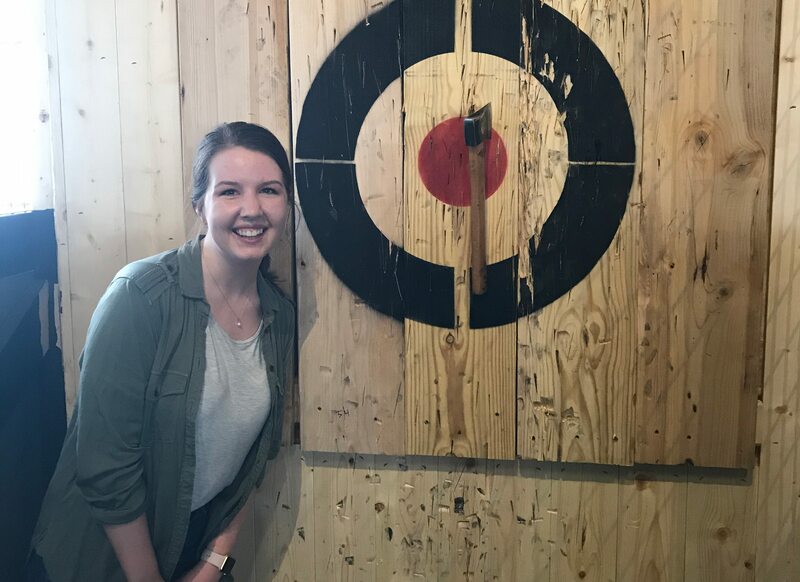 Thanks to Tom and Kacey Jennings, you can now spend your afternoon in a more unique way: throwing axes. That’s right, axes. 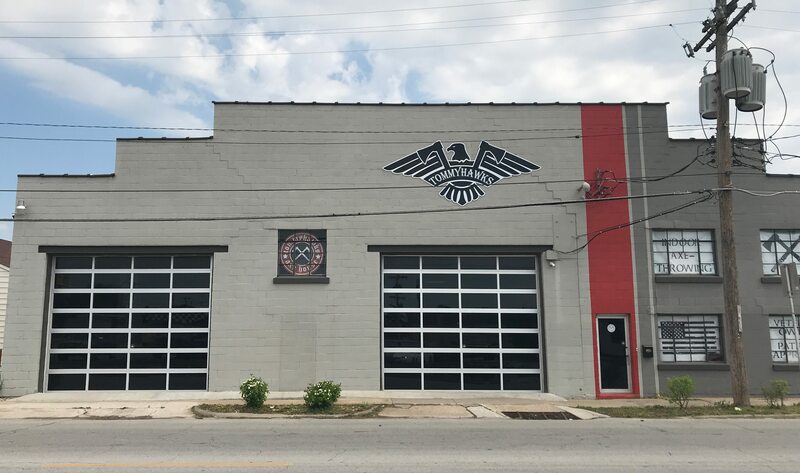 TommyHawks Axe House opened March 2018 near downtown Springfield. And, that’s exactly what Tom and Kacey did. 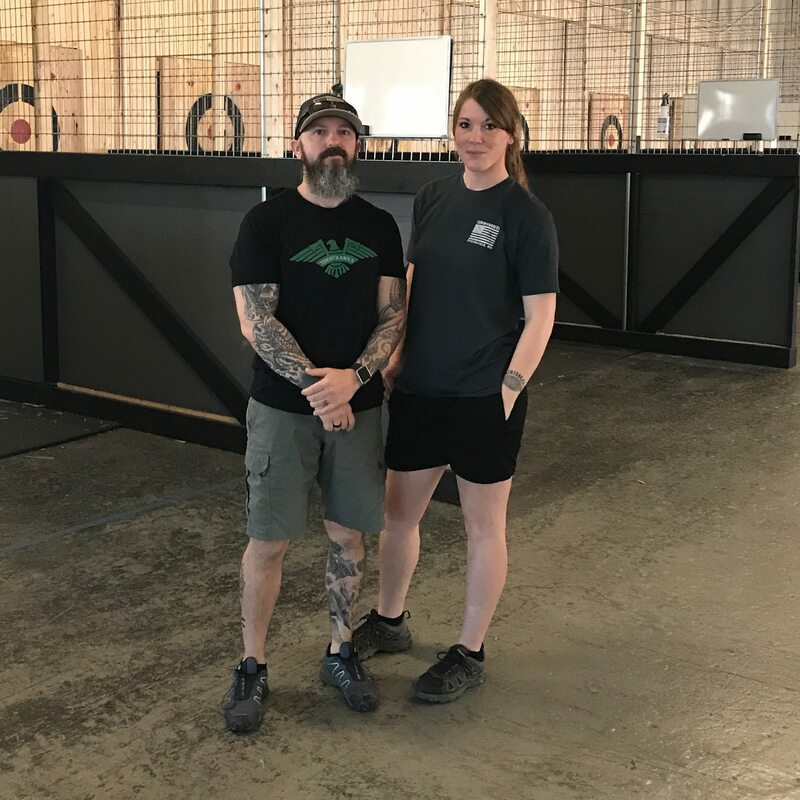 TommyHawks Axe House features 18 lanes of hand-crafted wooden bullseyes and it’s the only ax-throwing facility in Springfield. 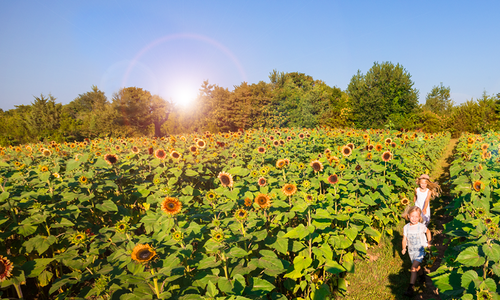 According to Tom, locations in Branson and Fayetteville, Arkansas are coming soon. “Throwing axes is something that I have done in the past, both as an outdoor kid and for sport while in the military,” Tom says. Never picked up an ax? Believe it or not, that doesn’t matter. This is something seemingly anyone can do. Video by Shannon HoffmannTom Jennings demonstrates the art of ax-throwing. As far back as I can remember, I don’t think I’ve ever picked up an ax in all my 23 years of life, let alone throw one. When I stopped by TommyHawks last week and was given the opportunity to throw one, I couldn't turn away. Tom walked me through the process step-by-step, and didn’t give up until I stuck the board. Before I even threw the first ax, he told me how to line up my feet (based on my dominant hand), how to hold my arm out, where to grip the ax, when to bend my elbow and when to release the ax. After the demonstration from Tom, I picked up the ax, positioned my feet, held up my arm and before I knew it there was an ax flying toward the board. It didn’t go well. Instead of the head of the ax hitting the board, it was nowhere near it. Instead, the bottom of the wooden handle crashed into the boards. But Tom didn’t give up on me. He pointed out what I was doing wrong so we could focus on fixing it, and after a few more (relatively awful) throws, I finally stuck my first ax—and it was basically a bullseye (photo evidence provided). Hitting that bullseye was like waking up on Christmas morning. Photo by Tom JenningsPhotographic evidence of Shannon Hoffmann's near-bullseye throw. If you’re a newbie like myself, Tom or Kacey Jennings will coach you every step of the way until you’re comfortable doing it on your own. Photos by Shannon HoffmannTom and Kacey Jennings of TommyHawks Axe House. Photos by Shannon HoffmannOne of the axes used for throwing. Photos by Shannon HoffmannPartial indoor view of TommyHawks Axe House. Photos by Shannon HoffmannTake a picture here for a memory of your ax-throwing experience. TommyHawks serves snacks and is in the process of obtaining it’s liquor license to serve local brews from places like Mother’s Brewing Company and Lost Signal Brewing. Ax throwing and brewskies? Sounds exhilarating. 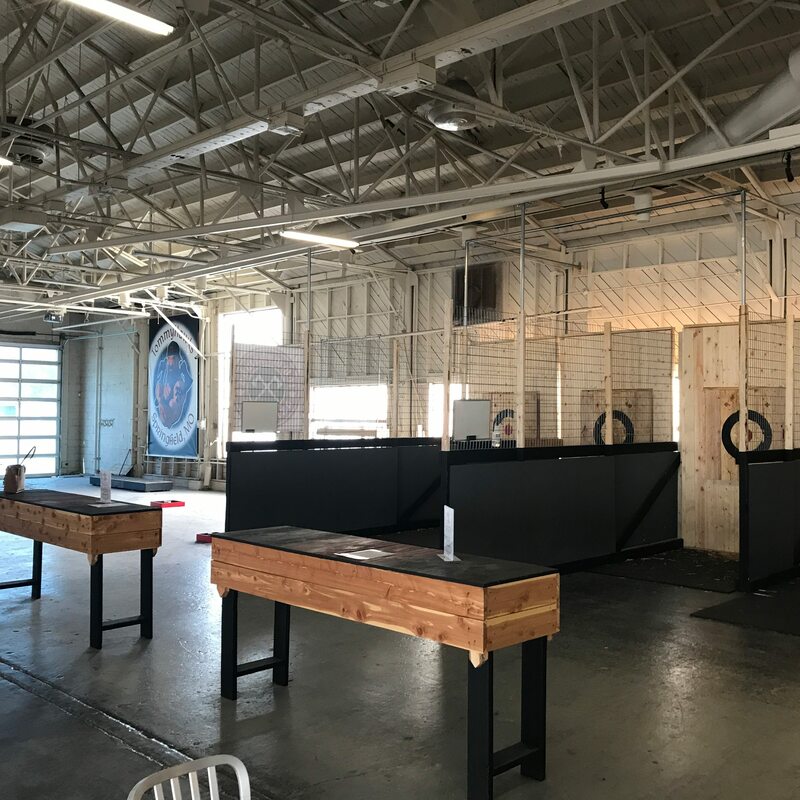 If you choose to participate in the ax throwing and brew drinking, you’ll receive a wristband and have a limited number of beers while playing. Once you’re finished with the axes, you can enjoy more brews in the lounge area. 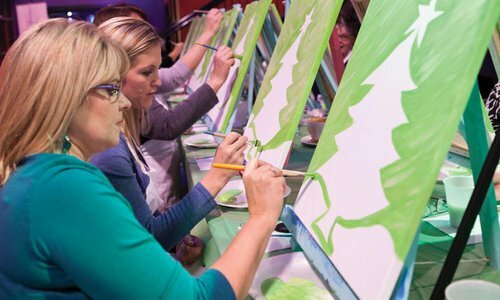 Hours: Friday–Sunday 12 p.m.–10 p.m.
*Last walk-ins taken by 9 p.m.
A new mobile paint business brings girls’ night and fine art to your table.